When is the fishing season in Missoula? Typically, our season begins in mid March with the skwala hatch and lasts through November’s technical mayflies. It’s a nice long season in Missoula, with an interruption for snowmelt runoff on our local rivers in May, which takes us all over to the Missouri River or local lakes. Give us a call, we can usually find somewhere to fish throughout the rest of the year if you are willing to get out in some weather. Where can we stay in Missoula? Missoula is a vibrant, small city with great options for lodging. Looking to stay in the downtown area, convenient to restaurants, bars, and coffee shops? We work with several businesses; Doubletree, Holiday Inn Downtown, and The Wilma. However, we can make arrangements for transportation from any of the lodging opportunities in Missoula. What should I bring for Missoula Fly Fishing? 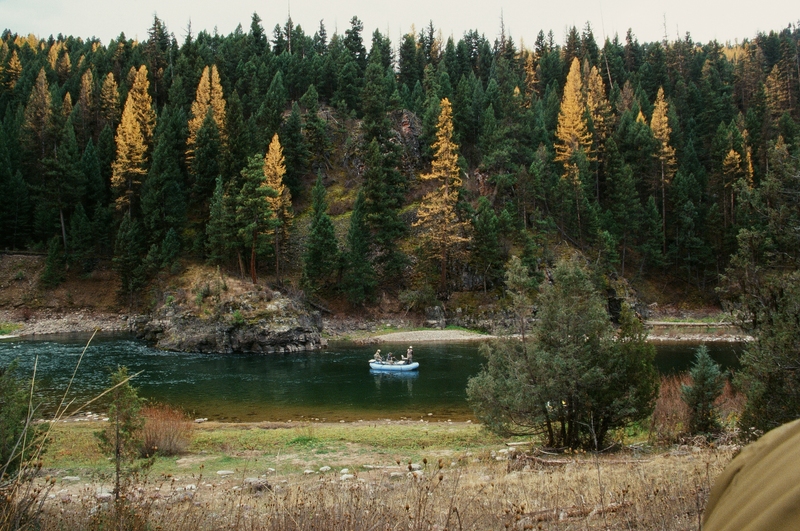 Experienced Missoula Fly Fishing Guides will have what you need to go fly fishing for the day. HOWEVER, it will benefit you to bring your own sunglasses (mandatory), hat, sunscreen, long shirt/pants for sun protection, shoes that you don’t mind being in the boat/water for the day, and rain gear. During Fall and Spring trips the weather can be variable/cold. You’ll be more comfortable with a warm hat, layers on top and bottom, waders, wading boots, and gloves. Give me a shout for a gear checklist if you need one. I’m on the water for many days during our season. AND, for the record, I am NOT going to be on my phone while working with clients (you) on the water. If you leave me a message, I’ll get back to you as soon as I get off of the water and can spend some time answering your emails, texts, or phone calls.